In this entertaining post, blogger Paul Cooper takes a lighthearted look at business agility by deconstructing the egregious errors committed by the nefarious Galactic Empire in the Star Wars saga. The Empire is a huge, top-down bureaucratic organization if ever there was one, and they commit a number of blunders. They fail to break large projects down into manageable sub-projects. They rule by fear, do not tolerate dissenting opinions and fail to allow project teams to self-direct. With few exceptions, most notably Darth Vader’s ability to magically detect the presence of Jedi Knights, there is little attempt to proactively gather information on emerging threats in the environment. The Galactic Empire is so horribly rigid that after rebels destroy their Death Star space station, what do they do? 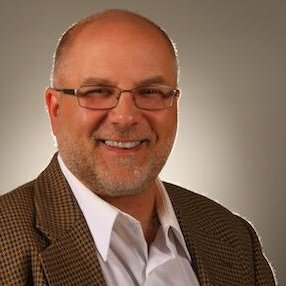 As pointed out by Forbes columnist Alex Knapp, they repeat their mistake and immediately set about building a new one! There are of course numerous barriers to business agility. Some of them are cultural, as pointed out by Cooper. Some of them have to do with data, as pointed out by Harris. What we at IFS can contribute is an appreciation of operational agility and enterprise resource planning (ERP) software. An agile organization like the Rebel Alliance has the vision to tell when the situation has changed, essential if they are to quickly abandon a base of operation once the Empire has learned its location. This would also indicate that they have the flexibility to act on data as it comes in. Key knowledge and intelligence, like the plans for the Death Star battle station, is freely shared with the pilots who can use the data to achieve operational aims. Mission command has excellent real-time visibility into the performance and position of each pilot. They can even tell when Luke Skywalker turns off his targeting computer. On an innate level, we all want to exhibit the organizational traits of the Rebel Alliance. The contrast between the Alliance and the Galactic Empire is so stark, and we understand it so deeply, that yet another Star Wars movie is in production more than 30 years after the release of the original. 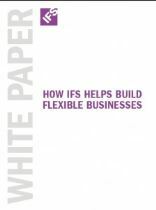 In the most recent whitepaper in our lauded Business Agility series, we lay out the proof points of how IFS and IFS Applications deliver these traits exhibited by the Rebel Alliance — vision, knowledge and flexibility. If you would like your organization to be more like the Rebel Alliance and less like the evil Galactic Empire, you owe it to yourself to download this document. Give it a scan. And then tell us what you think. And may the Force be with you. Always.